The new CoSup Presidency ! 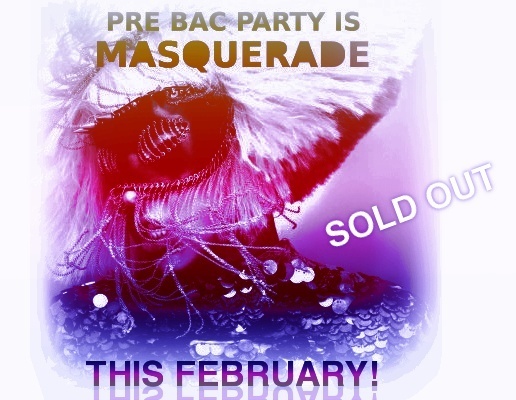 PRE BAC party tickets are sold out not much more than 100 were available for 6th years and 7th years had already their tickets! The BAC Committee managed to book both floors, which pretty expensive! and will held it for 400 students/people! If you still haven't paid please do so Now..! Class reps please talk to your classes about it. If you have any questions or need any information please let the "BAC COMMITTEE" know. Since the 7th until the18 of December 2009, leaders from around the world have been sent in Copenhagen to talk about ways to deal with global warming. They aim to agree on worldwide targets for reducing harmful emissions and protecting the environment for the future. Show world leaders that YOU think the world is worth saving by joining the Earth Hour Lantern Project. Just make a lantern as your vote for Earth, and we will send it to Copenhagen for the UN Climate Change Conference. The first conseil d education for this year will take place on December 15, 2009. Alex Befrui and Marisa Steinmetz. More information will be given out after the meeting. The Pupils Committee seeks to represent the interests of the students of their European School. Failure - The Luxembourgish "MEGA"
So today, Monday the 19th we had no school. Though, my place is next door to the school. There werent that many farmers, and caused no trouble to the movement in the road. No farmers were there by 9.30. As general, the luxembourgish police left no 18 cross... so I had no bus until home, and the roads were empty. The buses used the schools stop as their terminal stop.